My Desktop Amibroker Screenshots for Nifty 50 EOD charts with SDA2 Trading System. Please make an buy sell indicator giving app in any free charting software (mostly MotiveWave/ or Ninja Trader). What is the SDA2 system. if you’ve written a post on it before please share the link. I am hitul shingala from ahmedabad-gujarat. I am working with indian share market and interested in technical analysis software. Can you provide it to me . My mail address is hitulshingala@gmail.com. 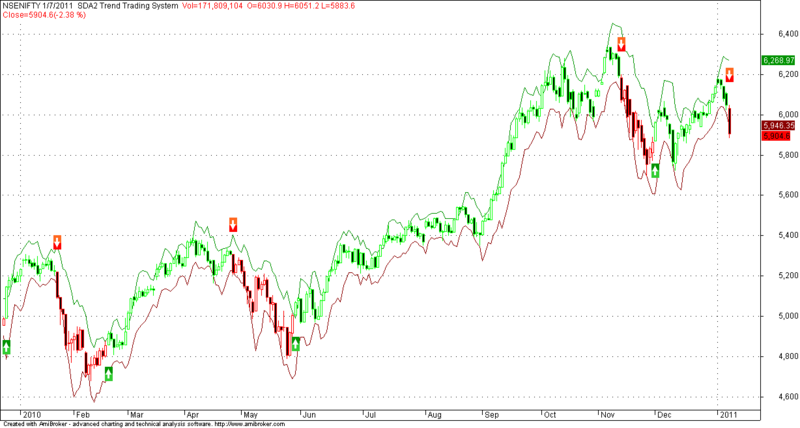 HOW DO I DOWN LOAD NIFTY50 EOD CHARTS WITH SDA2 TRADING SYSTEM. MY CELL NO 9960322071, PLS REPLY. What’s the name of the piece playing and who is it by?? ?